Root amputation is a specialized dental procedure, whereby one root is removed from a multi-root tooth. The tooth is then stabilized and rendered fully functional with a crown or filling. The multi-root teeth best suited to the root amputation procedure are the molars at the back of the mouth. These large flat teeth have either two or three root depending on whether they are situated on the upper or lower jaw. The general purpose of root amputation is to save an injured or diseased tooth from extraction. 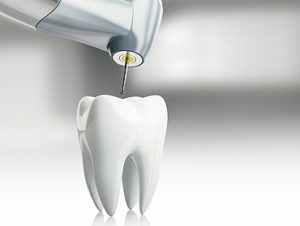 Most dentists agree that there is no better alternative than retaining a healthy natural tooth, and the root amputation procedure makes this possible. Dental implants, extensive bridgework, and custom-made tooth replacements can be expensive and time-consuming. Generally, root amputation and the necessary crown work are less expensive and can be completed in 1-3 short visits. It is important to note that root amputation can only be performed on an otherwise healthy tooth. Even in the case of a “key” tooth, extraction will be performed if the tooth is diseased, badly fractured or otherwise injured. Suitable teeth for root amputation have a healthy tooth surface, strong bone support, and healthy underlying gums. A severe bone loss in a concentrated area due to periodontitis. Finally, a temporary crown or filling will be placed to secure the tooth. Depending on the specific situation, painkillers, antibiotics, and a medicated anti-microbial mouthwash may be prescribed. In 7-10 days, the stitches will be removed and the gum will have healed. Arrangements can now be made to place the permanent crown or filling.